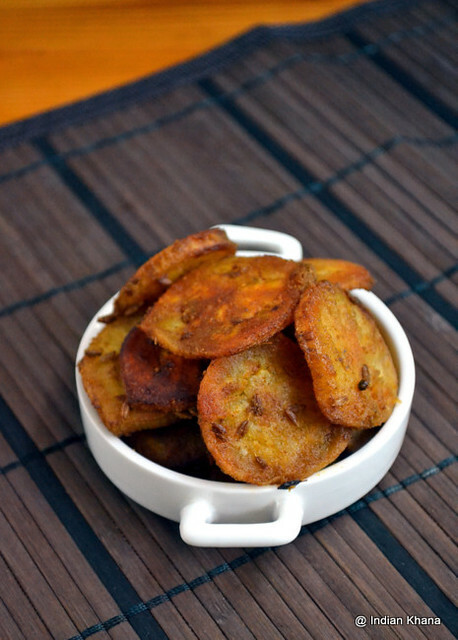 Plantain shallow/ tawa fry or yam shallow fry are some of my favorite side dish cause it's very easy and quick to prepare and taste just too good. 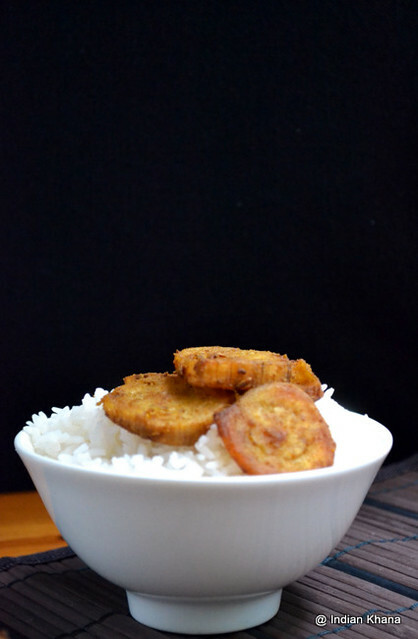 Whenever I get plantain I make the plantain stir fry (kacche kele ki sabzi) or this shallow fry than any thing else. This recipe is very simple but if you can few variations of your choice or preference or depending on this going to be your for any dal/sambar/rasam or rice variety. But whenever you make this be sure to make little extra as it will disappear very soon. 1. Peel, wash and cut the plantain in thin slices. 2. In a pan heat oil add cumin, mustard seeds and allow to splutter. 3. Add plantain (raw banana) pieces and saute for 2 minutes. Add chilli, coriander, tumeric powder, salt and mix well. 4. Cover and cook for 5-6 minutes or until banana gets cooked fully, keep stirring in intervals. ~ In a pan or tawa heat little oil and place plantain pieces, don't overlap. Cook in slow or medium flame for 3-4 minutes, Flip other side of plantain pieces and sprinkle little oil on top of them, cooking again in slow flame for 3-4 minutes or until golden brown. Serve warm with dal/sambar/rasam or any variety rice and relish. Instead of chilli, coriander & turmeric powder you can use 2 tsp of Sambar Powder. You can also add cumin powder or fennel seeds powder. Use 1 tsp of ginger-garlic paste if you prefer but normally it's not needed. nice fry,luks fantastic...Perfect with sambar and rasam. this looks lovely and too delicious. One of my favorite with rice and dal. Love this yummy fry, looks yumm! wow. so simple yaar. I am going to try it soon. I will use sambar pwd.. will let u know..
Never tried shallow frying raw banana.. Looks delicious..
Thats a simple and delicious recipe. Nice one , simple and easy i like it. Simple and delicious, love it ! That is simply amazing looking, I will surely try. 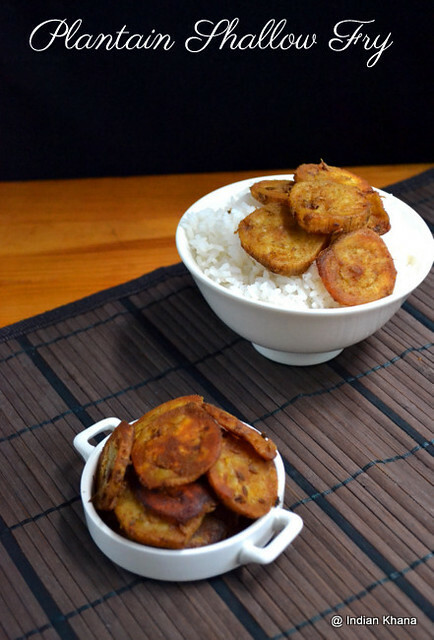 mouthwatering pics..looks amzingly delicious...never cooked with raw plantains..must try! 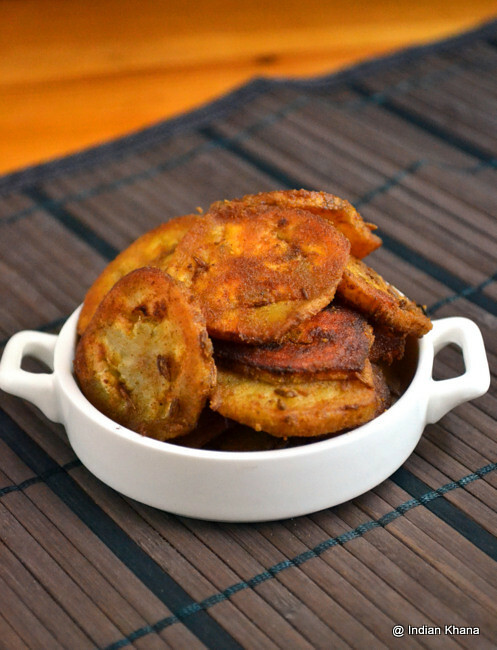 Nice and crispy plantain fry.Looks delicious. Lovely fry...perfect with sambar rice. I love plantain chips. Yours look delicious. Thanks for visiting my blog and leaving your comments. Perfect side dish, looks yumm..
Looks so crispy and mouthwatering. Nice recipe. YUM! wow i love these, i think it resembles phodis which is a konkani snack. Did u cut it a bit thicker than the usual chips? Simple and yummy one, looks delicious. Hi Priti..this dish is soooooooo nice.......first time to ur blog...u have a lovely space...keep going....have a pleasant day!!! This is a lovely dish. Looks nice and delicious. Love plantains so i m sure i m gonna these fries as well..delicious! I will not be able to resist plantain chips/fry ..loaded with all the spices..delicious :-). 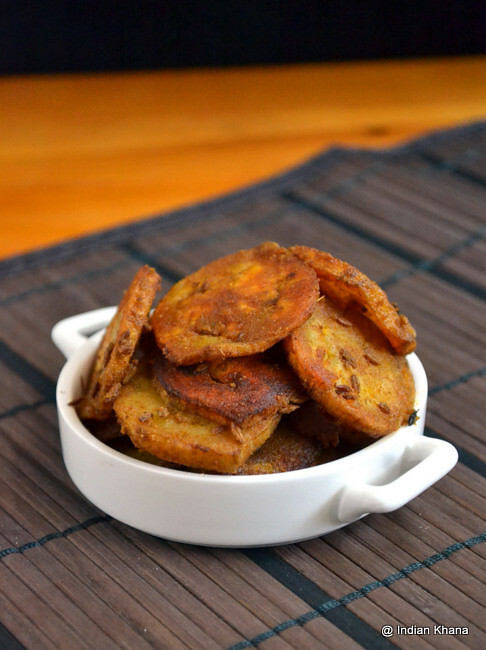 Delicious crisp plantain chips..your shallow fry method is so nice.... yummy recipe!